November is here and we are welcoming crisp Fall weather- even in North Texas! This is the time of year we add soups, stews, casseroles and chili to our meal plan at my house. (Well, we eat these things year round sometimes, but even more as the weather gets cooler.) What about you? How do you keep up with what you’re feeding your family each week? Do you write it out and develop a meal plan? It really is essential to make the evenings smoother. Meal planning is the perfect solution for busy families! Each month I offer a free printable meal planner to my readers to help you guys in this process. 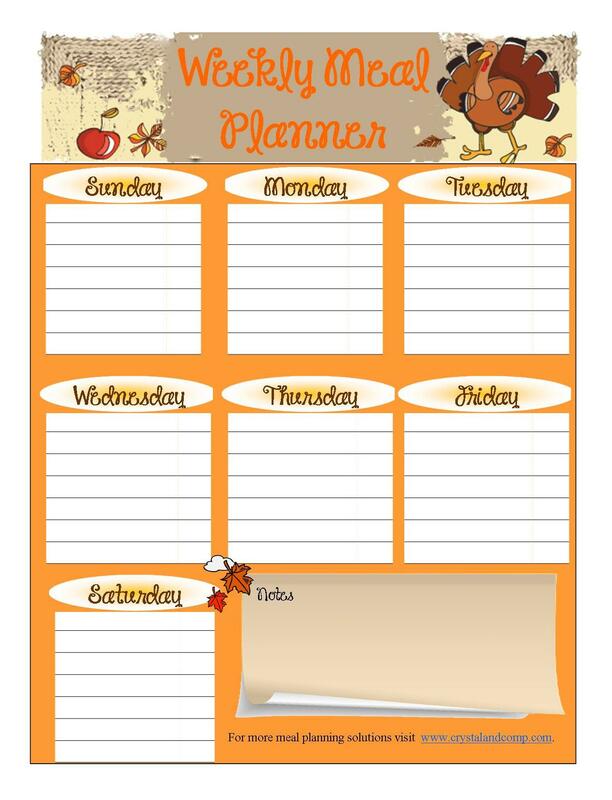 This month the printable really gets me in the mood for turkey, dressing and cherry pie. Do you agree? Click the image below or here to download November’s free printable. Check out more meal planning inspiration at OrgJunkie.